You mean you WEREN'T expecting a quickie joke? 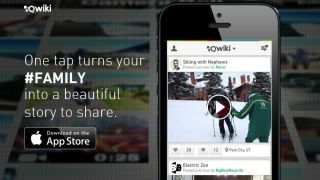 Yahoo's mobile property guzzling continues as the company announces it has bought Qwiki, an app that takes photos, music and clips and turns them into short movies. The deal is said to have gone down for something in the $40 million to $50 million realm (about £26m-£33m / AU$44m-$55m). It's another move from Yahoo to move into the mobile space, squaring up to the likes of Google and Facebook. However, unlike it did with Summly, Yahoo has promised that it has no intention of killing off the Qwiki brand, instead looking at ways to integrate the technology with other services.